You often know when you’ve just made a big mistake in your job application. You forget to attach your resume. You send the wrong version. You address your cover letter to Mr. Chris Allen—then realize there’s a strong chance Chris is a woman. But other times you have no idea you’re making a mistake. You may even think you’re doing everything right! In fact, there are a few common job search techniques that candidates employ over and over because they think they work well. In reality, though, these very same strategies might be standing in the way of you and that big interview. To make sure you have the very best chances of inching closer to your dream job, here are four common blunders—and much more effective techniques to try instead. People often think that the job search is a numbers game. The more resumes you send out, the more likely it’ll be that someone will call you back, right? Similarly, candidates sometimes believe that applying to multiple positions at the same company ups their chances of getting called back for one of them. In reality, though this sends one of three messages: That you’re not sure what you want, that you’re desperate and you’ll take anything, or that you don’t have a solid grasp on what each job entails. In any case, not a good thing. 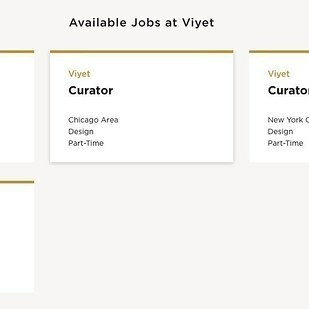 Instead of applying to every semi-relevant job within a 60-mile radius, start your search by compiling a short list of dream companies and learning everything you can about them. When they have openings that fit your skill set, take the time to carefully craft your application—adjusting your resume bullets to show exactly how your experience aligns, writing a custom cover letter, and asking your new contacts if they have advice for standing out. Yes, this approach takes more time and energy than submitting your same ol’ resume at over and over, but your chances of scoring an interview will be much, much higher. Okay, so you’ve narrowed down your list of companies, and one of themjust posted a role that’s exactly in line with your skill set. Awesome! So you crank out everything as fast as possible and hit “send”—wanting to be the first application the hiring manager sees. Not only will you show just how excited you are about the job, but maybe the team will love your application so much they won’t need to interview anyone else. News flash: This rarely does you any favors. Nine times out of 10, I have to toss the applications I receive within the first hour of posting a position because they’re incomplete. When you’re focused on speed over everything else, it’s easy to miss the details—getting names right, including additional materials, and so on. It’s better to give yourself a day or two to write, rewrite, and edit your materials, make sure you’ve included everything necessary, and have someone else look them over. (And, again, total bonus if you get advice from a current employee.) A stellar application will be better than a not-quite-there-but-prompt one, every time. Let’s go back to those people who work at your dream companies for a second. Meeting them and getting on their radar: Good. Asking for their advice on working there: Also good. Sending them your resume unsolicited with a note that says, “Here’s my resume—let me know if you know of anything I’d be a fit for!” Surprisingly, not always the best. Sure, in some cases, you might get lucky, but typically only in the off chance that the company is hiring for a role that meets your exact qualifications. But this move can also be construed as you asking your nice new contact (who’s already been helpful in talking to you about the company) to do the hard work for you—reviewing your resume, checking to see if any open positions are a fit, and forwarding along your information. Yes, you can (and should) ask your contact for advice before you apply. And if, in the process, he or she offers to pass your resume or a recommendation along, that’s great. But never make this assumption. Take those tips you’ve learned and then do the hard work, just like any other candidate would do. Look at a company’s jobs page, find your dream role, then submit an application with all the required pieces. Don’t get me wrong: I think everyone should apply to roles that are just a little bit of a stretch. It’s good to have reach goals—plus, you might be more qualified than you think, and with preparation and a little bit of luck, you could land an interview. But there’s a difference between applying for a slightly-out-of-reach job and one that you’ll never get. For example: an executive-level job when you’ve got three years of experience; heading up a department team of 10 when you’ve never managed anyone; applying for a product management role because you think it sounds cool, and hey—you’ll figure it out. I’ve seen people in all of these situations think that they can make up for a lack of experience with passion and an awesome application, but the majority of the time, hiring managers think otherwise. Again, your time is much better spent applying to roles that line up nicely with your current skills and level of experience. Spend most of your efforts on roles for which you meet a good majority of the requirements, sprinkling in a few “reach” jobs here and there. If you’re making a bit of a leap, read Muse writer Katie Douthwaite Wolf’s advice on making sure you stand out among more qualified candidates. Or,work with a coach on a job search strategy that’ll help you get noticed. I know—these job search techniques are done with the best of intentions! But make sure you put yourself in the shoes of the hiring manager. But applying to too many jobs too quickly, shooting too high, or expecting others to do too much won’t have the results you’re looking for. Try these simple shifts, and you’ll be much more likely to get in the door for that interview. Getting a job—whether it’s your first or your tenth—isn’t easy, even if you have all the right skills and experience. Luckily there are a few tools that, once you have them and use them, can boost your chances of landing not just any job, but one you’ll enjoy. The first step to a better job is a better resume. If you have one and it just needs a little layout and design love, or you want something simple to give you a jumpstart, check out Google Docs’ free resume templates, whichwe’ve highlighted before, or these free resume templates for Microsoft Word. If you’d rather try something that lets you fill in the blanks, try a resume builder like ineedaresu.me. Once you have that awesome resume, make sure it’s well formatted to get you past applicant screening systemsand robots. Speaking of a resume builder, if you’re a creative professional, or you just like the idea of a modern resume, you can go all out with a builder tool like the previously mentioned EnhanCV or a similar tool we’ve highlighted,Sumry. If those are too modern for you, CV Maker is a bit more down to earth and simple, and produces resumes that look a bit more traditional. Which is right for you largely depends on your style, and the industry you’re trying to get a job in. Similarly, if you want a jumpstart without typing in a ton of information, consider LinkedIn’s resume builder (update: looks like it’s dead.) It works really well, and if for some reason it doesn’t, Creddle is another service that will build a resume for you based on your LinkedIn profile—which should, we hope, be indicative of your experience and skills. Before you go blindly hunting for job titles you’d like to have, or even companies you’d like to work at, make sure to check out what current employees are saying about them over at Glassdoor. 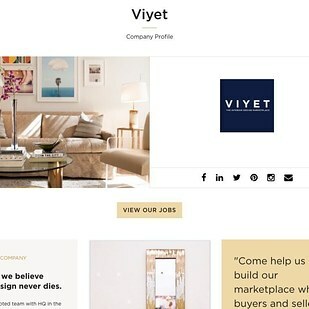 The site is invaluable for job searchers eager to get the inside scoop on what it’s like to work at a company, in a specific role, and how much you can expect to make if you get an offer. Even if you’re familiar with it in general, it’s worth looking at. At the same time, don’t limit yourself to just Glassdoor. 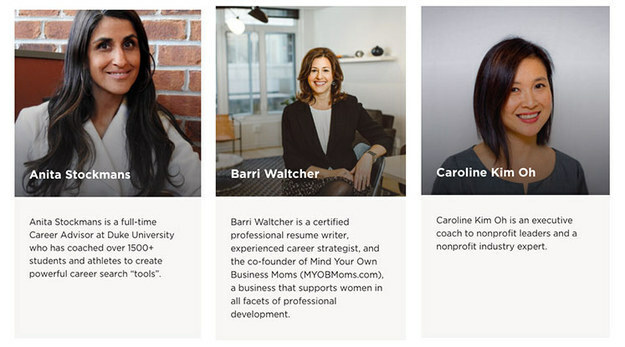 If you’re a woman looking for a company that’s not full of garbage people, consider checking out FairyGodboss, a site dedicated to giving women a place to discuss issues that matter to them in a company, and rating their employers accordingly. If you’re concerned with work/life balance and making sure a potential employer respects yours, WorkDifferent works hard to make sure they only work with and highlight companies that actually care about their employees. Speaking of learning how much you’ll make when you get that offer, make sure you do your homework on how much you’re worth before you hit the interview circuit. Salary.com and PayScale.com (as well as previously mentioned Glassdoor) all provide valuable information on how much you can expect a given job to pay, based on where you live, and other companies in the same field. For even more information, check outComparably, a new service that crowdsources the information and lets submitters stay anonymous, so no one has to worry they’ll get in trouble for publicizing their company’s pay rates. So you have a new resume, you have some compensation in mind, and you’re ready to go looking for a new gig. Before you throw your resume up on the major job boards (which you should do, to be clear) like Indeed andCareerBuilder, and hope for the best, you should also look into job boards and sites that are specific to your industry or niche. For example, previously mentioned LanceList is a great tool for collecting openings on various freelance job boards, while MediaBistro is pretty much essential for anyone in the writing, journalism, or new media fields andHealtheCareers is useful for people looking for jobs in health care and medical fields. When you do apply for a new job, or you email back and forth with a hiring manager, recruiter, or HR professional, your next step is to make sure you keep the conversation going and keep talking—even if you’re not terribly sure you’re going to get the job, you never know when someone will be useful in your professional network. Pick up a contacts app that will help you remember to follow up—or encourage you to reach out to your contacts—on a regular basis. Previously mentioned JobHero is great for this, and it helps organize your entire job search to boot. NextCall is also useful for this, and it can help you remember to follow up with lots of people, not just job prospects. Also, remember, a reminder is just that—you don’t have to follow up if you don’t think it’s right, and you certainly don’t have to be annoying when you do. The value of keeping a work diary goes well beyond just getting a new job, but once you’re on the hunt for one, you’ll be glad you have one. A work diary can help you keep track of your successes (and avoid your past mistakes,) keep you motivated, and also help you identify your biggest achievements so you can use them to argue for a raise—or in this context, flesh out your resume with glowing achievements and clearly explain to a hiring manager why you’re the right person for the job. Trust us, start yours today. Don’t get stuck in thinking that because you’re always done a specific job that you always have to do a specific job, or that it’s all your qualified for. Job explorers like the one at Glassdoor or previously mentioned MySkills My Future can help you find jobs you may have never thought would be right for you, but do make use of the skills and experience you have in the jobs you’ve worked. You never know, you might find a great job option that you’d never considered before—but might be just what you need to give yourself a career tune up or shake yourself out of a career rut. You probably know that good presence on Facebook and Twitter areimportant to landing a good job—and that you can even find jobs through social media by connecting with the companies you want to work for. Those are all great things, and you should definitely do them, but social networks can actually do much more for your job search. For example, consider joining industry groups on Facebook and LinkedIn to chat with other people in the field you’re in and working in different companies to connect, share stories, and talk about the skills needed to get new jobs and get promoted. If you don’t see any, start one—or take it a step further and start a MeetUp group in your area and connect with other professionals in your area. Probably the best and most effective tool you can have in your arsenal to land a new or better job is a strong professional network, full of people who know your skills and capabilities, and can open doors or vouch for you. If you don’t have one, it’s time to get started building one. Don’t worry, it doesn’t have to be a gross, self-promoting process to build one. After all, a professional network is just a group of working adults willing to help each other out with work-related stuff when they can. Keep that in mind, anddon’t forget to network down, too. Not sure how strong your network is? Try the “layoff test,” or “if I got laid off today, which ten people would I call to talk to?” If you don’t have ten people, it’s time to make some calls, step up your networking game, and of course, make sure you reach out to friends and colleagues and see how youcan help them, so maybe they’ll return the favor when you need it. Parenting + working at the same time is damn hard, which is why some people take time off to raise their kids. But many of those looking to return to their careers after several years have an incredibly tough time, because of competition from millennials and others who *don’t* have gaps on their resumes. When Gefsky was ready to return to the workforce after eight years, she had a hard time getting back in, despite her credentials and experience. 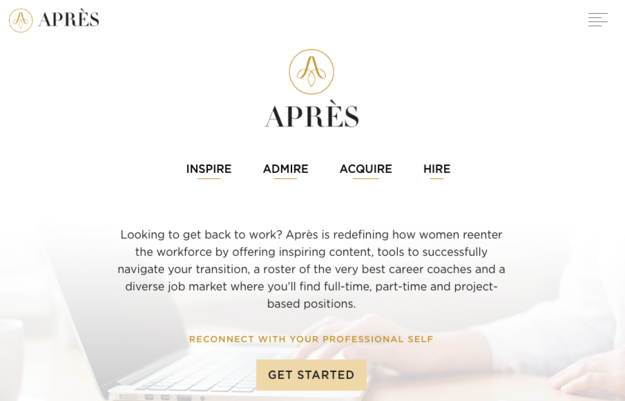 So Gefsky and co-founder Niccole Kroll started Après, a LinkedIn-type platform built specifically to help women with gaps in their resume. Jennifer and Kroll, who was a researcher at NYU before also putting her career on pause, officially launched the site on May 4. According to one study published by the Harvard Business Review, 37% of highly-qualified women leave their jobs for extended periods and, of those women, only 40% find full-time jobs again. Just 23% find part-time work, 7% are self-employed, and 30% don’t return to the workforce at all. Based on graduation rates, the of women that opt out, and the of those women that opt back in, Jennifer estimates that there could be over 3 million women with college or advanced degrees trying to find jobs. 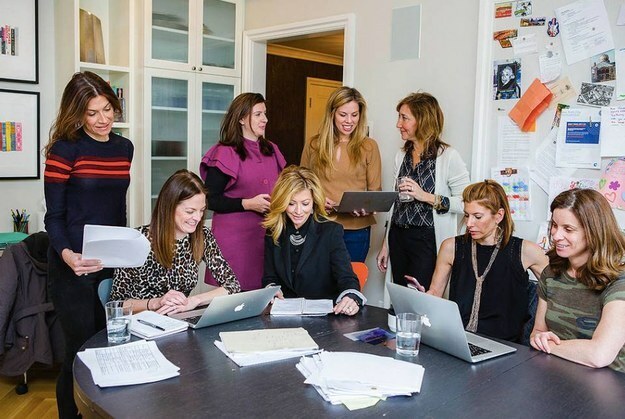 The ultimate goal of Après is to remind employers of the value of women who are overlooked because of their resume gaps. “We want to educate companies on the value of this demographic,” Gefsky said. 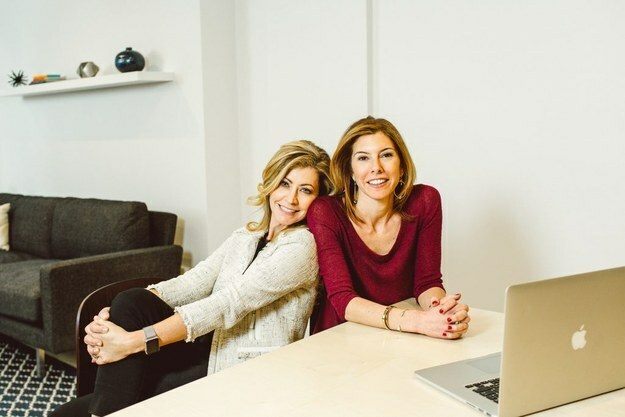 After hundreds of interviews, the cofounders have evidence that not only are these women energized about working again, they’re also more loyal than other demographics because they’re not looking to change roles every couple of years. In addition to social networking, Après wants to help these job seekers get up to speed with resume and interview coaches, skill polishing curriculums, andstories of success. General membership, which includes joining the community and viewing job opportunities, is free. While hiring a coach for private consultations (coming soon to the site) and premium membership (making your profile searchable by a prospective company), is not. Premium membership is $250 per year or $21 per month. Coaching services are TBD. Most importantly, they’ll have access to job listings at companies that are aligned with the website’s mission. The website isn’t perfect. You can’t filter the positions by location, job type, or experience requirement, but an Après rep said more advanced search features will be available soon. And what about dads? Après is targeted to women, but all are welcome to join – and some men have already signed up. Après isn’t for everyone – and there are plenty of other female-minded sites that can help you get to the next stage in your career. Levo League is aimed at supporting millennials in the workplace. Career Contessa is a job site that also facilitates honest conversations about work/life balance, as does Penelope Trunk. Fairgodboss features company reviews by women. PowerToFly connects female tech talent with roles that are flexible, remote, or both. Dress For Success supplies job training and professional interview attire, as well as guidance for upcoming interviews. Ultimately, if you’re looking for work, there’s one very important thing to remember: be confident.